Beautiful ships, amazing ports of call, world-class service, and kids' clubs that are second to none are only a few of the reasons that Disney Cruise Line is the most popular cruise line for families. Like most things in life however, with increased popularity comes increased cost. Saving money on a Disney Cruise vacation is challenging, but not impossible. If you put in the effort, and have a little bit of luck, you can save some real money. Here are 11 tips to help you get started! Something all Disney Cruise Line experts already know is that booking your cruise early (12-18 months in advance) is going to get you the best price. Disney Cruise Line, like all other cruise lines, uses a tiered pricing system. The tiered pricing system is pretty simple: as the ship fills up, the price for a cabin goes up. A balcony stateroom that starts out at $3500 can jump in price to over $5000 on popular sailings. Disney Cruise Line normally releases their sailings twice a year and when they do, people are up early to book first and get the lowest possible price. Rebooking when you are onboard the ship is another way to cut the cost of your next cruise. Disney typically offers a 10% discount on future sailings when you rebook onboard. They will typically offer a half price deposit on itineraries that are 7 nights or longer as well as an onboard credit ($100 for sailings under 7 nights and $200 for sailings over 7 nights). Sometimes though, it's better to leave it to a professional - which brings me to #2. Contrary to public opinion, it does not cost extra to use a travel agent. Most travel agents make their money through commission paid by the cruise line. Travel agents (like Dreams Unlimited Travel) will give you the same price as booking direct through Disney, but will also give incentives like shipboard credits that Disney does not offer. Another reason to book with a travel agent is that they will watch for discounts and specials. They do this for a living, so they keep track of what’s happening and what’s coming up. In many cases, they will save you money without you having to do anything. One perk offered exclusively by Dreams Unlimited Travel on sailings out of Port Canaveral is a special Welcome basket with travel mugs, snacks and lots of other useful things you’ll need during your cruise. (Full disclosure: I am the owner of the DIS and co-owner of Dreams Unlimited Travel - just thought you should know :) ). Target stores offer a debit card that will save you 5% off your purchases and that discount applies to gift cards as well. Conveniently, Target sells Disney gift cards, so I bet you can see where this is going. You can register at your local Target for the debit card - which is attached to your existing bank account. Since it's a debit card, there are no interest or finance charges. This will also work with the Target credit card, but it only makes sense to use that if you plan on paying it off right away as the finance charges will more than eliminate any savings. There are TONS of other good ideas for getting discounts on gift cards (Disney and others) that you can find on the Disney Gift Card deals thread on DISboards.com. I know, this sounds obvious - but the number of people who don't do their research on this would shock you. Do your homework and keep an eye open for special rates. We update the discounts area on the DIS regularly with current specials and offers. If you are a family with a member who is active military, or a Florida resident, specials are offered more regularly than for the general public. 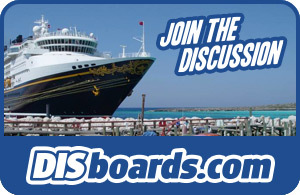 Another great resource for keeping track of what's happening with Disney Cruise Line are the discussion forums on DISboards.com. Disney will routinely offer specials on sailings that are not sold out and these offers tend to come during the off season, but I've seen them offered on select itineraries during other times of the year as well. As with any family vacation destination, the times of the year when kids are out of school is when prices can go through the roof. Christmas, summer,and spring break all tend to be at least 20-30% more expensive than at other times of the year. If you are able to travel off-season (i.e. 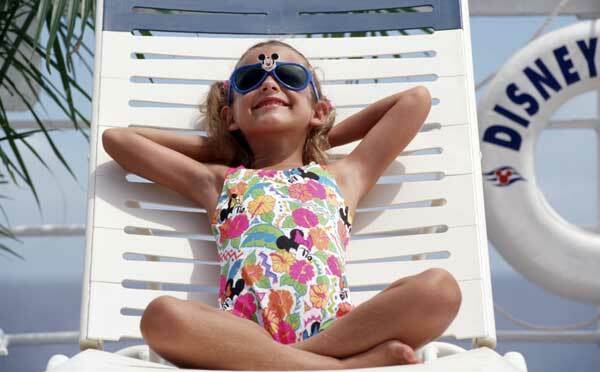 when kids are in school), you’ll save money on your cruise. In some cases, the difference between traveling in July versus October can be substantial. If traveling off season isn't possible, then consider being flexible to take advantage of last minute deals, like the ones we list here. To learn more about the various seasons that impact Disney Cruise Line pricing, see the "When to travel on a Disney Cruise" section on the DCL pricing and reservations page on the DIS. Do the initials IGT, OGT or VGT mean anything to you? Well, they should if you’re thinking about saving money on a Disney Cruise Line vacation. They stand for Inside Guarantee, Outside Guarantee, and Verandah Guarantee. There are some serious restrictions with these rates, but in most cases it's worth it. You're not going to find these rates on every cruise, and when you do they are usually available within 75 days of sailing. With these rates you are guaranteed a stateroom in that class (Inside, Outside or Verandah), but you have no control over what stateroom or location it will be in. You also need to pay the fare up-front (as these are usually released inside Disney's cancellation period - meaning the people who booked at the higher rate can't cancel without losing 100% of what they paid). Once booked, you can't make any changes and you can't cancel. In return though, you'll end up saving hundreds, sometimes thousands of dollars. Another point about staterooms: conventional wisdom would tell you that an inside cabin is less expensive than an outside cabin, right? Well – not necessarily on Disney Cruise Line. Some inside cabins on the Disney Dream and Disney Fantasy have ‘virtual portholes.’ These portholes show a live image of what is outside the ship (along with some special Disney touches) and have become so popular that on certain sailings they can be more expensive than an outside stateroom (as I mentioned before, Disney adjusts prices based on how well a sailing or stateroom category is selling). Even when the price isn’t lower, the difference in price between an inside and outside stateroom can be negligible and well worth the extra money you'll spend for the extra space you’ll get. Disney Cruise Line Guests 21 years and older may bring a maximum of 2 bottles of unopened wine or champagne (no larger than 750 ml) or 6 beers (no larger than 12 ounces) on board at the beginning of the voyage and at each port-of-call. Guests wishing to consume wine or champagne that they have brought on board in one of the dining rooms will be charged a corking fee of $25.00 per bottle. More Information here. Shore excursions are a great way to see your destination in a limited amount of time, and the shore excursions that are provided through the ship are normally charged at a premium. There are several companies that offer shore excursions directly and sometimes the savings can be substantial. Sometimes these companies offer excursions not offered by the cruise line, so it's at least worth checking it out. There are two VERY IMPORTANT things you need to consider before doing this. First – the cruise lines check out the companies they use to ensure reliability. The cruise line will also intervene on your behalf should there be an issue. None of these excursion operators want to be on the wrong side of a cruise line. Second, and most importantly – if you book your shore excursion through the cruise line, and for some reason your excursion is delayed and you get back to the ship late, they will wait for you. If you book the excursion on your own, they won’t. There is nothing worse than standing at the dock watching your ship, and your possessions, sail away. At that point, it's up to you to get yourself to the next port of call – which can be prohibitively expensive. Some companies that offer shore excursions are ShoreTrips.com and CruisingExcursions.com. Getting from the airport (or your hotel) to the cruise terminal provides another option for saving money. Disney Cruise Line charges $70 per person round trip from Orlando International Airport to Port Canaveral. Local transportation companies (we recommend FLTours.com) charge $260 round trip for up to 7 passengers. If you have four or more people in your party, you save money going this route. FLTours will also do a courtesy stop at the DISboards.com Welcome Center in Port Canaveral. I know, insurance is a cost that is in addition to your cruise fare so how is this a savings? If you get sick on your trip, or right before your trip – if something catastrophic happens – you’ll save plenty by investing in this beforehand. InsureMyTrip.com is an excellent resource for finding options on vacation insurance (not just cruise).